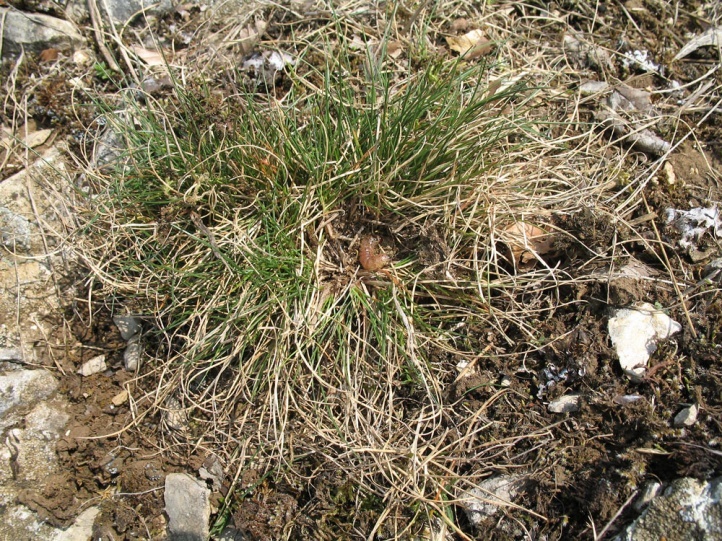 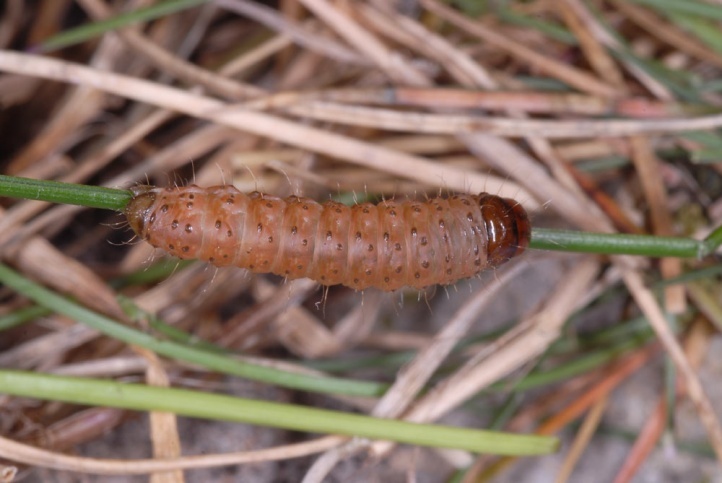 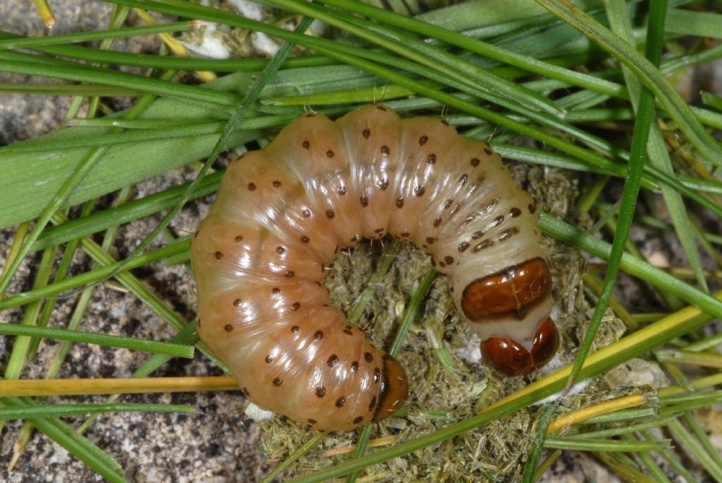 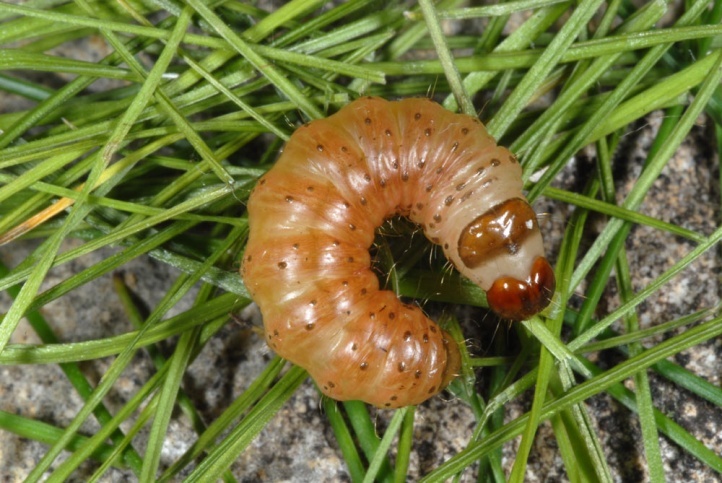 The caterpillar lives on tussock forming grasses, especially on Festuca ovina agg. 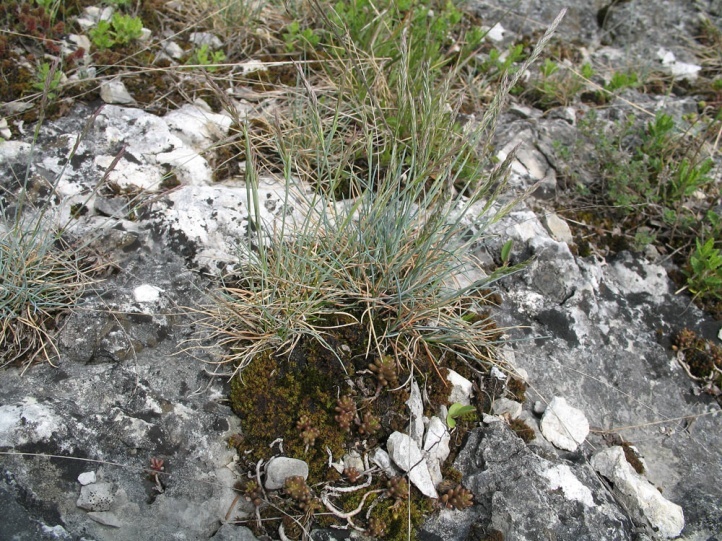 and Festuca pallens. 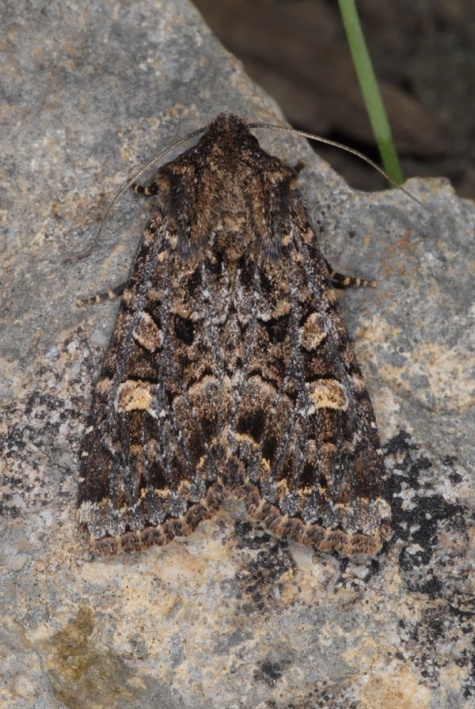 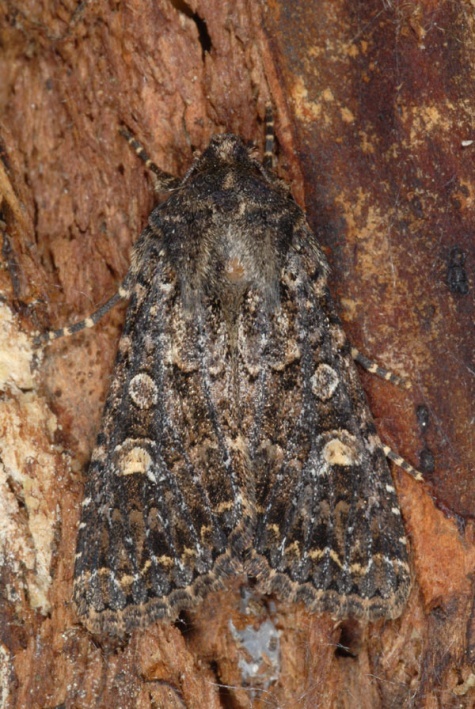 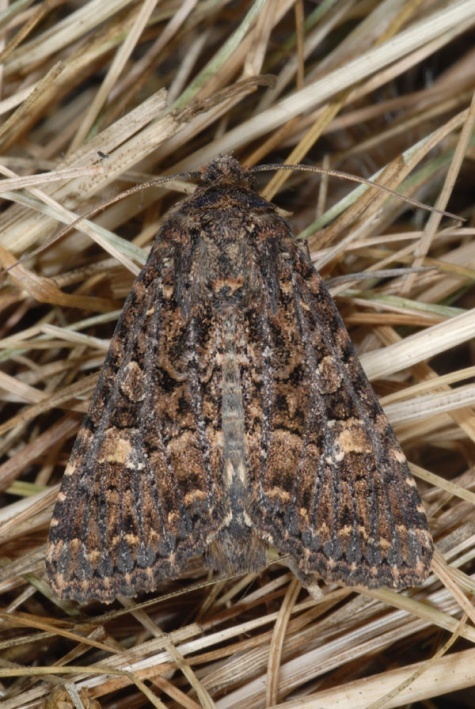 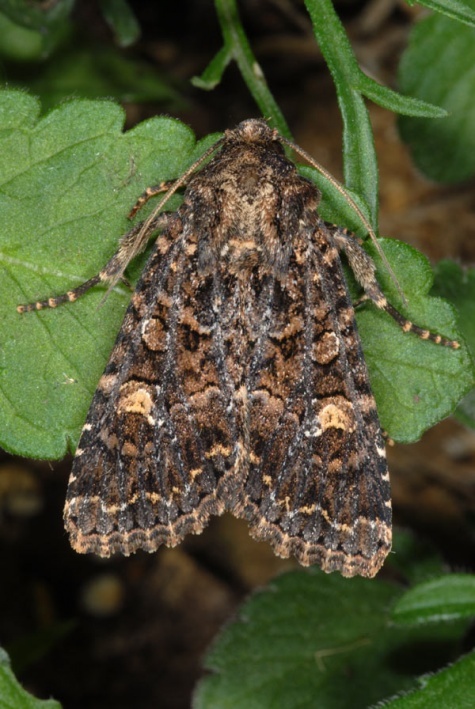 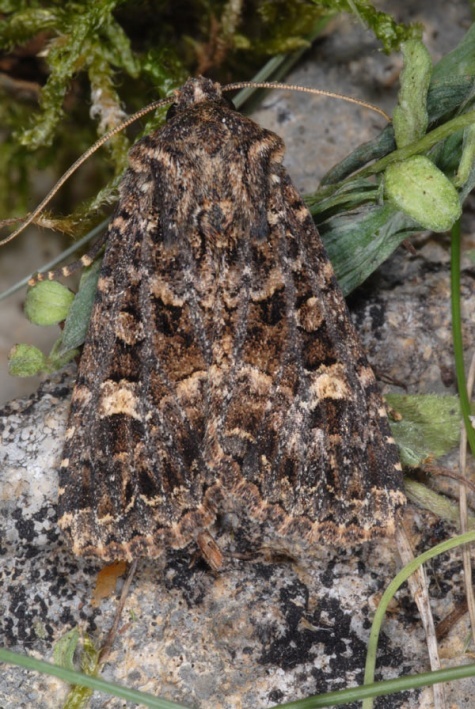 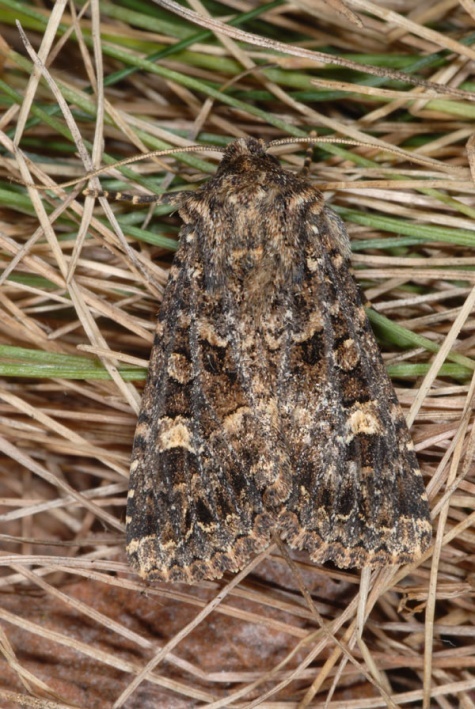 Apamea furva inhabits dry sunny heaths, pastures with shallow places, dry fallen moorlands and especially rock interspersed calcareous grasslands in the Alps and lower mountain regions. 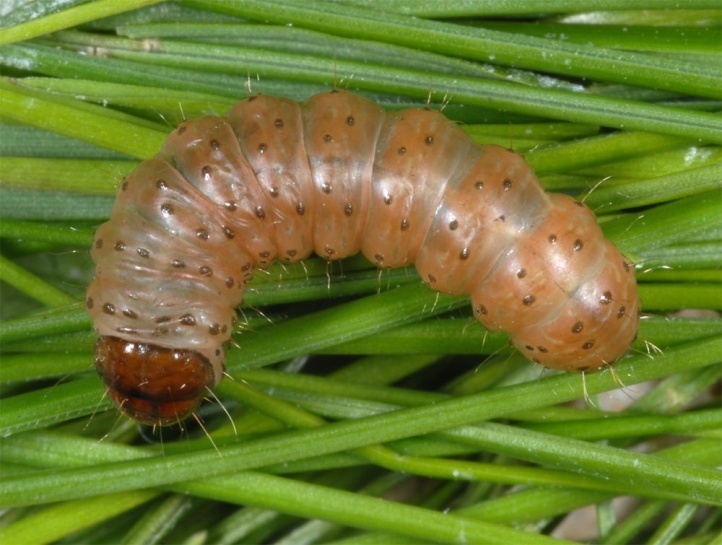 I found the caterpillars in April and May 2010 on the Ostalb particularly focused on rock heads and ridges in limestone juniper grasslands. 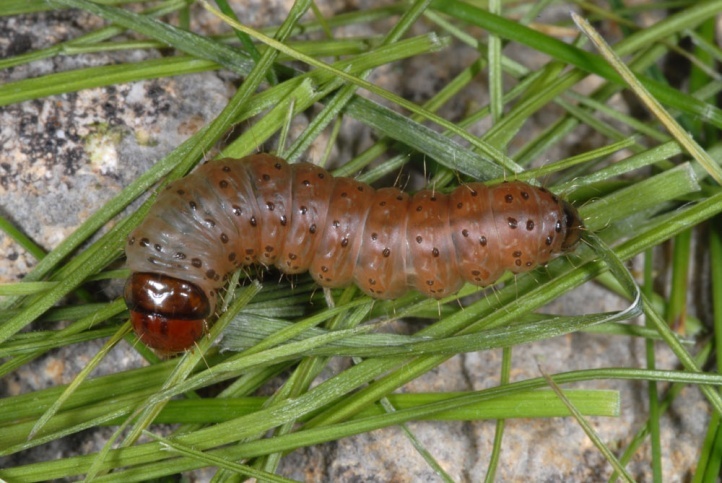 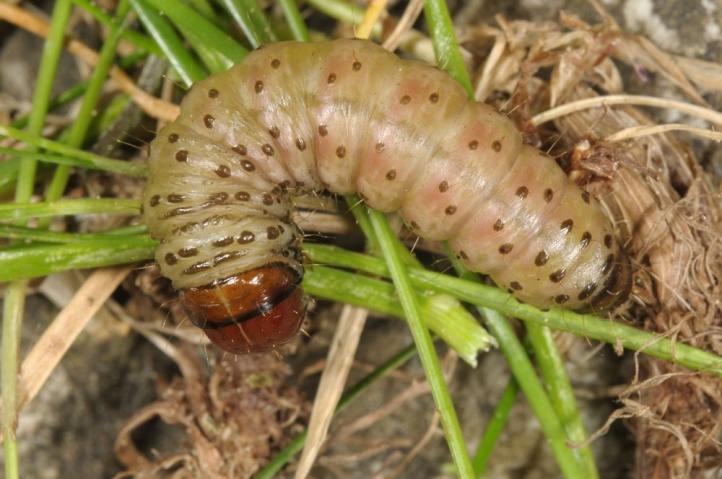 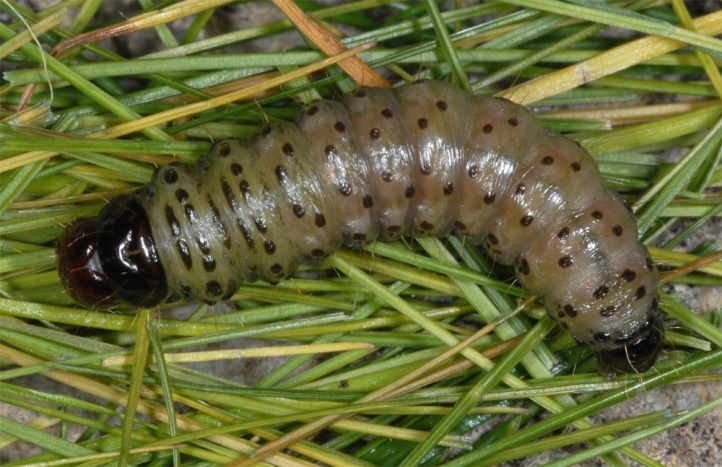 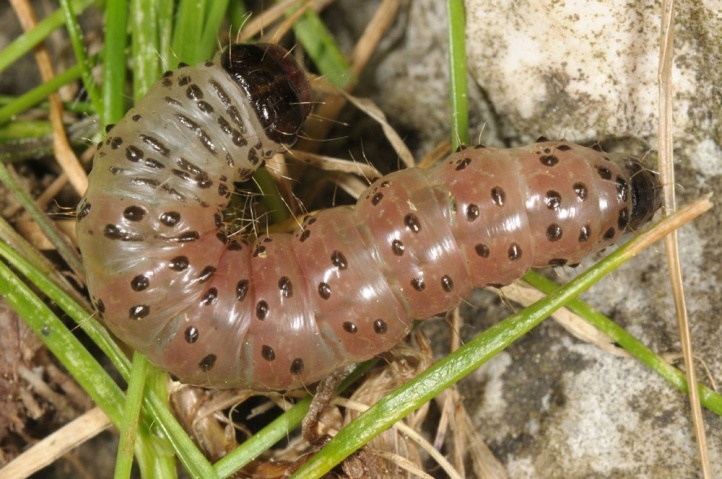 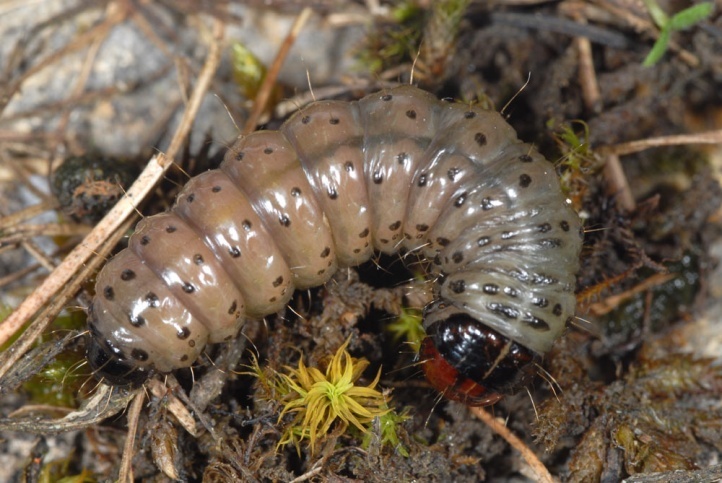 In South Tyrol, the larvae are often common in the few remaining steppe slopes. 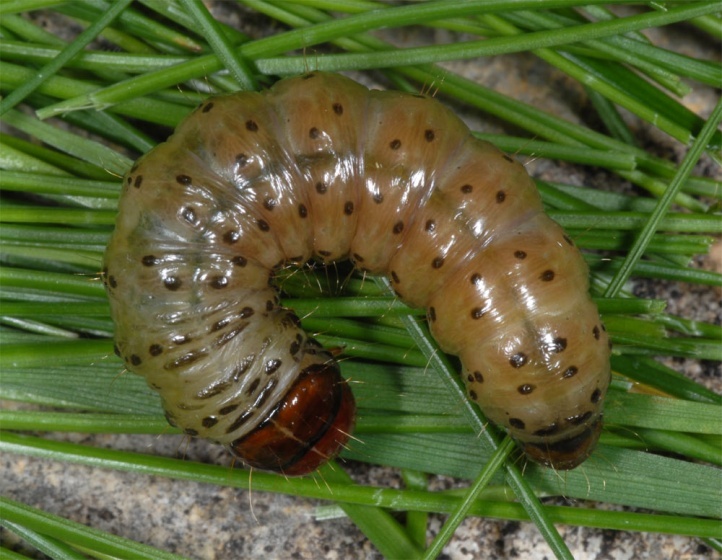 The young caterpillar overwinters and is found mainly between April and early June, at higher altitudes even in mid or late June. 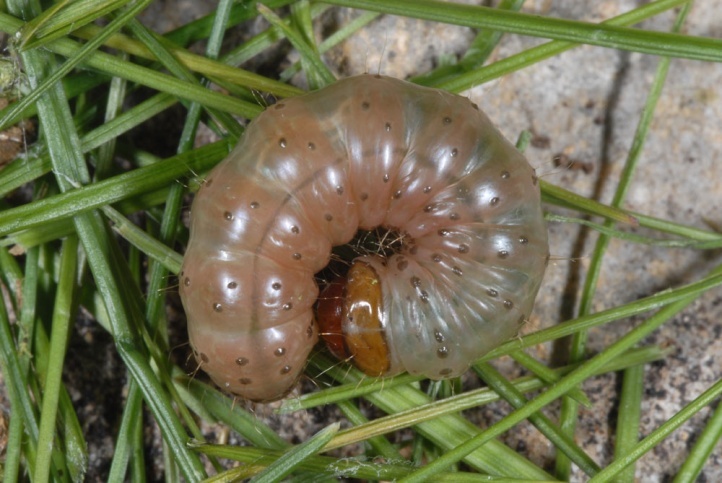 The caterpillars overwinter significantly smaller than those of the often syntopically found caterpillars of Apamea sublustris. 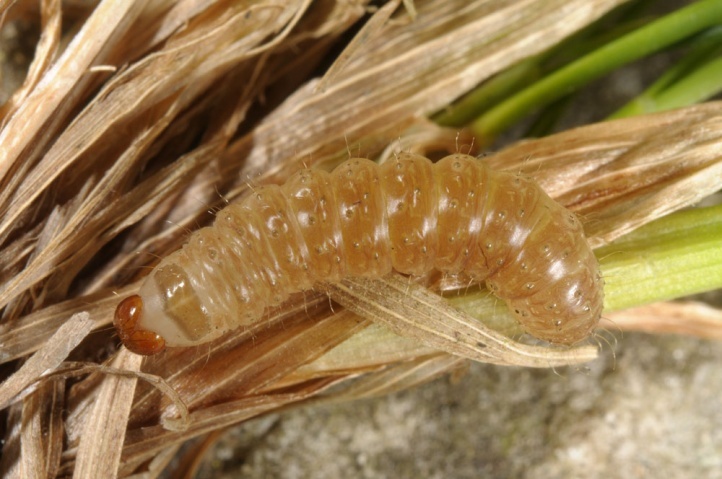 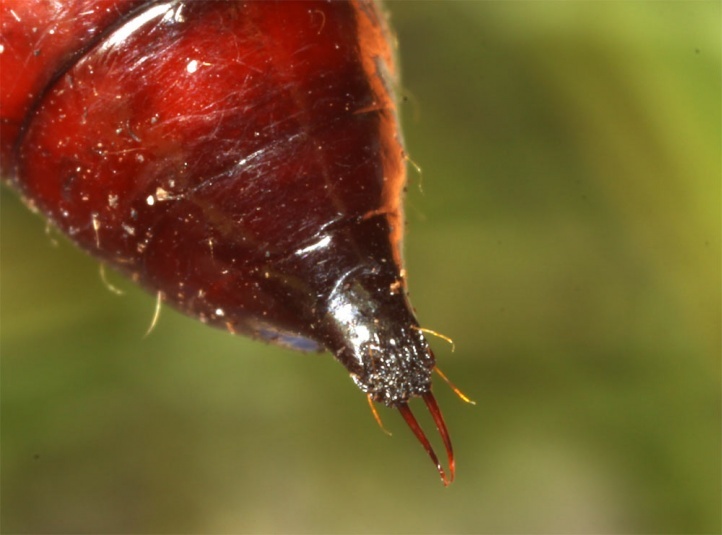 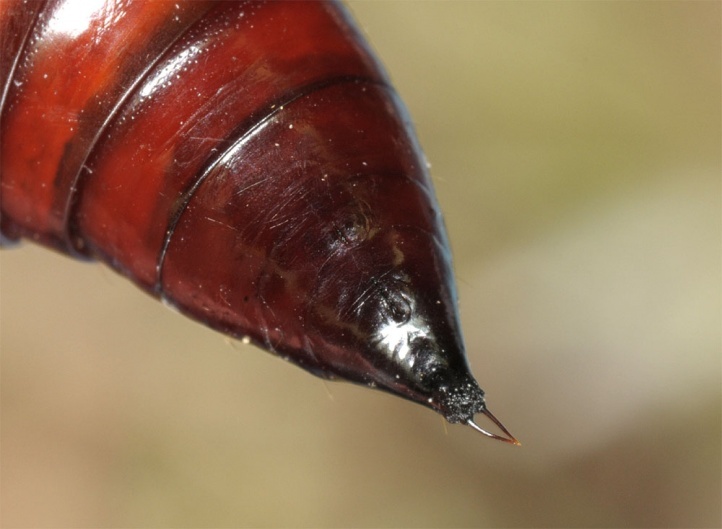 They live in webbed cavities in the moss/root collar area at the base of Festuca tussocks. 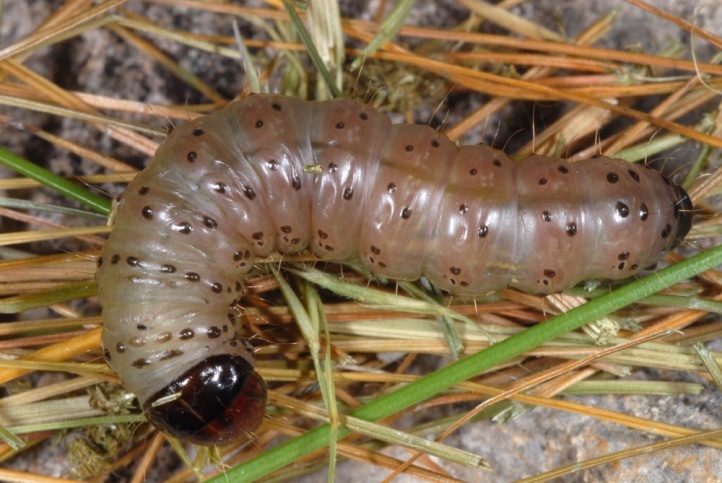 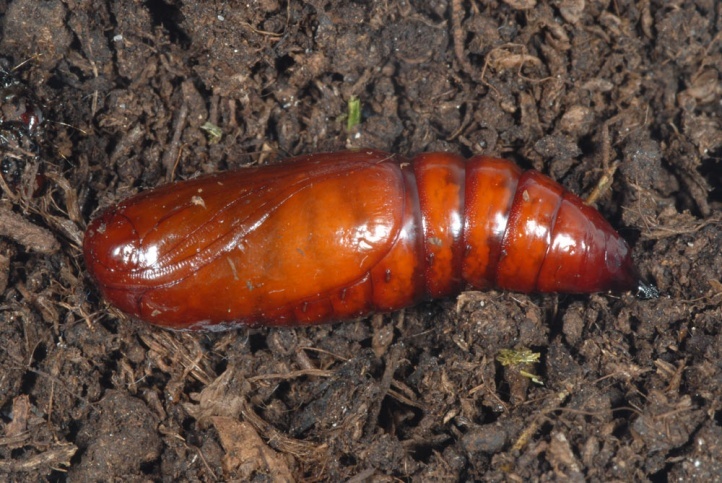 Most caterpillars were found in isolated, medium-sized clumps. 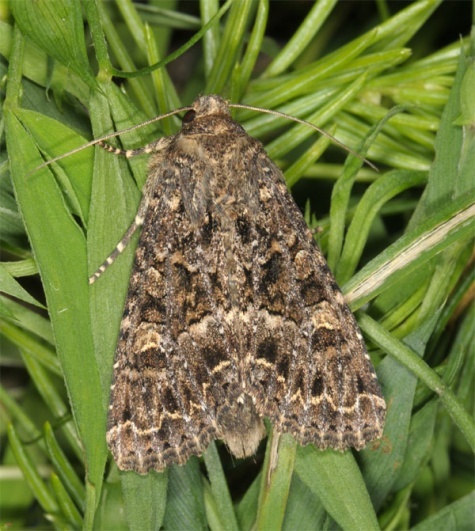 The moths fly from late June to late August. 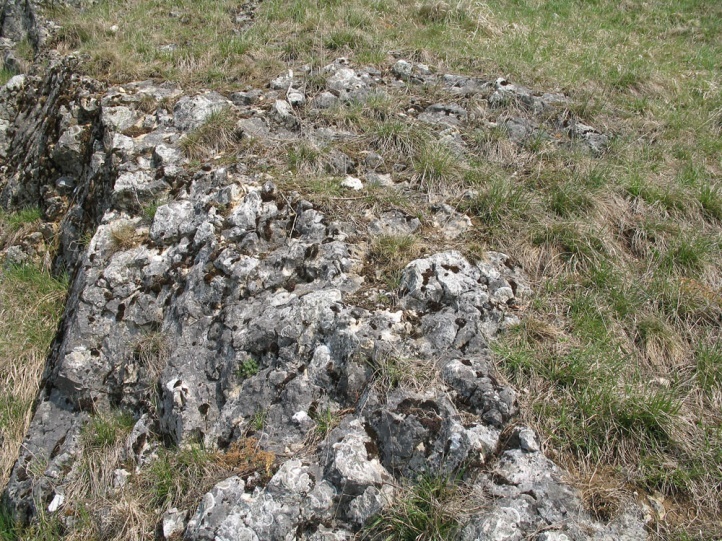 Apamea furva must also be considered at risk because open, shallow and warm-dry habitats have declined greatly and are nowadays strongly fragmented outside the Alps and still under threat. 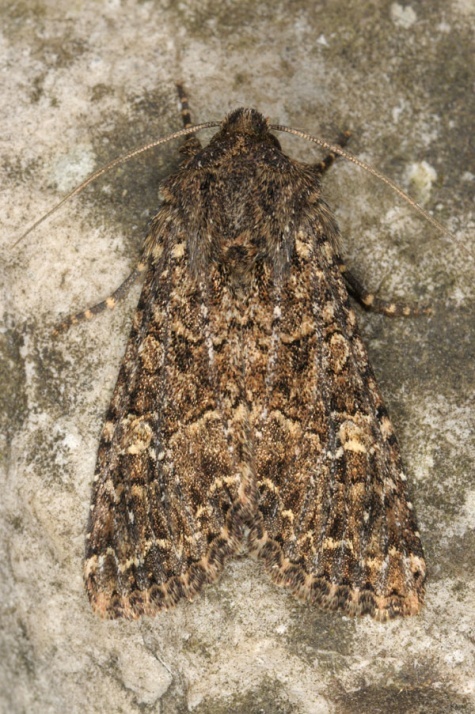 Apamea furva is widespread in Europe to the Far North and in temperate Asia. 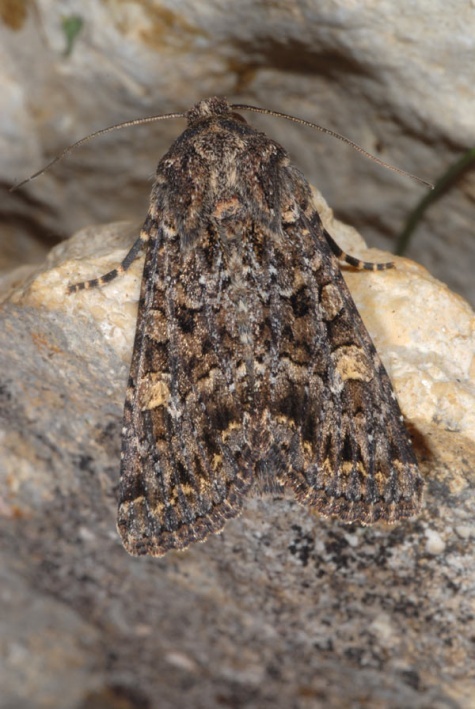 In the south, they live mainly in the mountains (to Southern Spain and Greece).